When you are accurately quoted re: your desire to eliminate Special Olympics funding. On Tuesday, Secretary of Education Betsy DeVos went before a House appropriations subcommittee and, as she has in every previous year of the Trump presidency, requested a series of huge cuts to the Department of Education—$7 billion in total this time around, which is roughly 10 percent of the department’s budget. 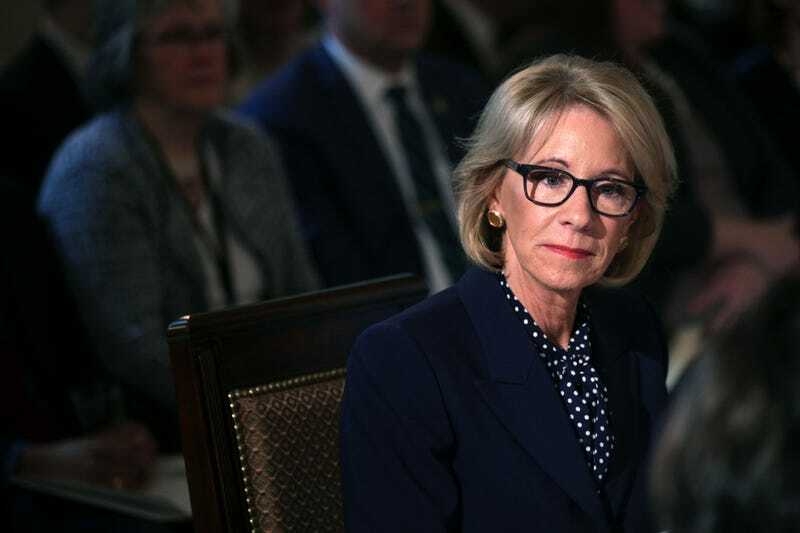 Among the proposals that DeVos made to that end was eliminating the entirety of the $17.6 million in federal spending dedicated to the Special Olympics. By including this in their proposed budget, DeVos and the Trump Administration were sending the message that eliminating federal funding for the Special Olympics was something they wanted to do, even though Congress would almost certainly not agree to it. The Republican congresses that preceded this one didn’t make those large cuts to Special Olympics funding, either, although DeVos proposed them all the same. Again, that is the entire point of this budget proposal: an expression of what DeVos and Trump prioritize, and what they don’t. Every bit of criticism that DeVos has received has been the result of people apprehending exactly what the budget request attempted to communicate. “The message she’s sending is that people with special needs, children with special needs, aren’t important enough to be part of society,” observed a 400-pound pro wrestler, correctly. DeVos took issue with all these people correctly assessing the signal that her proposed budget sent on Wednesday. “It is unacceptable, shameful and counterproductive that the media and some members of Congress have spun up falsehoods and fully misrepresented the facts,” DeVos tweeted. So consider the record corrected: Betsy DeVos continues to want to eliminate all federal funding of the Special Olympics. Just Some Real Awful People!